This book went a totally different way than I was thinking, but wow I liked it. The synopsis is rather vague compared to the actual book. I very much enjoyed the pacing, and there was so much going on and so many questions to be answered. The whole world is very different that what I was picturing from the synopsis, but it’s like nothing I’ve read before. Eden…I kind of had a love hate relationship with her. Which is the main reason that I am giving this book a four. I feel like she should have stood up for herself a bit more, I feel like she is very naive. But she did grow throughout the book but I just wish she could have grown a bit more. Her father on the other hand I was not to fond of, only for the fact that for the most part of the book he didn’t seem to care, but his character worked for the story so he was good and bad. Bramford is just a beast full of bottled emotions. Wow, so much going on for him, and so I don’t spoil, I’m just going to say that his secret did surprise me. I was a bit confused on his appearance but for the most part the descriptions throughout the book were fine. It was interesting to see Caucasians be the inferior race. I did feel bad for the poor albino’s though. 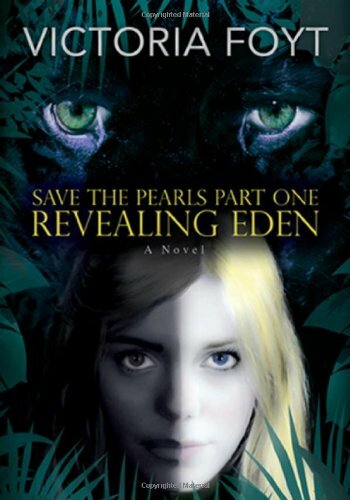 But overall I give the book a four, I really enjoyed the book aside from my love-hate relationship with Eden and occasionally her father, I thought the pacing was nice and there were enough twists and turns to keep me engaged in the book. I will definitely be looking forward to the next book in the series. I’d like to see where Eden and Bramford’s relationship goes.